HRANA News Agency – The Department of Statistics and Publications of the Human Rights Activists in Iran (HRAI) has published the following monthly report for the Iranian calendar Month of Aban (23 October-21 November) on the human rights situation in Iran. This report cannot be a comprehensive and complete reflection of the human rights situation in Iran, due to limitation and lack of authorization of activities for independent human rights organizations and in Iran. HRANA News Agency – The Department of Statistics and Publications of the Human Rights Activists in Iran (HRAI) has published the following monthly report for the Iranian calendar Month of Mehr (23 September -22 October) on the human rights situation in Iran. This report cannot be a comprehensive and complete reflection of the human rights situation in Iran, due to limitation and lack of authorization of activities for independent human rights organizations and in Iran. HRANA News Agency – The Department of Statistics and Publications of the Human Rights Activists in Iran (HRAI) has published the following monthly report for the Iranian calendar Month of Shahrivar (23 august-22 September) on the human rights situation in Iran. This report cannot be a comprehensive and complete reflection of the human rights situation in Iran, due to limitation and lack of authorization of activities for independent human rights organizations and in Iran. 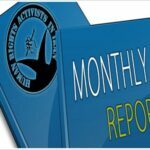 HRANA News Agency – The Department of Statistics and Publications of the Human Rights Activists in Iran (HRAI) has published the following monthly report for the Iranian calendar Month of Tir (22nd June-22nd July) on the human rights situation in Iran. This report cannot perfectly and comprehensively reflect the details of human rights concerns in Iran due to the limitation and bans on independent human rights organizations and their activities in Iran. 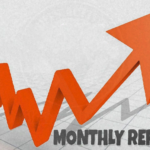 HRANA News Agency – The Department of Statistics and Publications of the Human Rights Activists in Iran (HRAI) has published the following monthly report for the Iranian calendar Month of Farvardin (21st March-20th April) on the human rights situation in Iran. This report cannot perfectly and comprehensively reflect the details of human rights concerns in Iran due to the limitation and bans on independent human rights organizations and their activities in Iran. 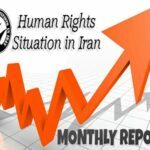 HRANA News Agency – The Department of Statistics and Publications of the Human Rights Activists in Iran (HRAI) has published the following monthly report for the Iranian calendar Month of Bahman (20th jan-18th Feb) on the human rights situation in Iran. This report cannot perfectly and comprehensively reflect the details of human rights concerns in Iran due to the limitation and bans on independent human rights organizations and their activities in Iran. HRANA News Agency – The Department of Statistics and Publications of the Human Rights Activists in Iran (HRAI) has published the following monthly report for the Iranian calendar Month of Dey (21st Dec-19th Jan) on the human rights situation in Iran. This report cannot perfectly and comprehensively reflect the details of human rights concerns in Iran due to the limitation and bans on independent human rights organizations and their activities in Iran.